I’m from Indiana, born and raised: a true Hoosier. I moved around the state a lot but spent the majority of my first two decades alive in Indianapolis. Glass pagoda and original bricks at the starting line of the IMS. The month of May is such an exciting time in Indy. The sounds of the cars racing around the track can be heard from the front porch of your house, five or so miles away. 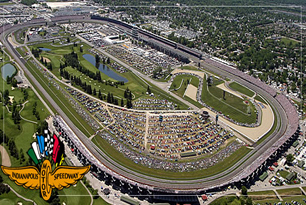 The smells of hotdogs and roasted corn, elephant ears and cotton candy can be inhaled on the weekly trips to the Indianapolis Motor Speedway to check out the action. But none are quite as fulfilling like the sight of a Indy car racing around one of (if not THEE) most famous race track in the world. Going to “the track” and watching the qualifying rounds is something almost every kid growing up in Indy has done at least once in their lives. Hell, most Hoosiers have gone to at least one race! It’s always exciting to watch and as a spectator, the crashes make watching machines speeding around a track at 200+ MPH dangerous on a very real level. Each time a crash is announced (or seen), the entire crowd does a collective *GASP*! We never know how bad the damage is: sometimes the most bruised is the driver’s ego, others have much more serious outcomes. 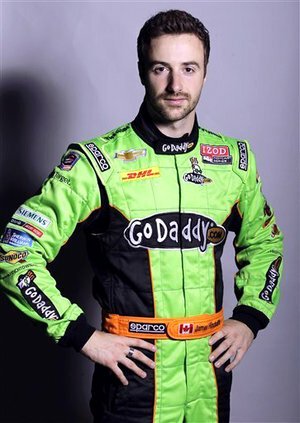 Have you heard about James Hinchcliffe’s accident during his “quals” on Monday? If not, have you been under a rock since Sunday?! Turn 3, where James Hinchcliffe crashed his car, also happens to be the most popular spot for spectators to watch from the infield. The suspension on the Dallara-Honda IndyCar being driven by Hinchcliffe, 28, failed just prior to Turn 3. As he was entering the turn, he hit the wall at about 220 MPH. A piece of the suspension punctured through the car (!) and then through Hinchliffe’s right leg (!! ), enter his upper left thigh (!! ), and continue into his pelvic region(!!! ), where it finally stopped! Holy Hell! IndyCar’s first responders – the Holmatro Safety Team – were the first on the scene within seconds! They cut Hinchcliffe out of the car, transported him to the ambulance and did what they could to minimize the exessive bleeding. He was in critical condition at IU Health Methodist Hospital upon admittance. As of late Tuesday evening, he was in the ICU but improving and stable. 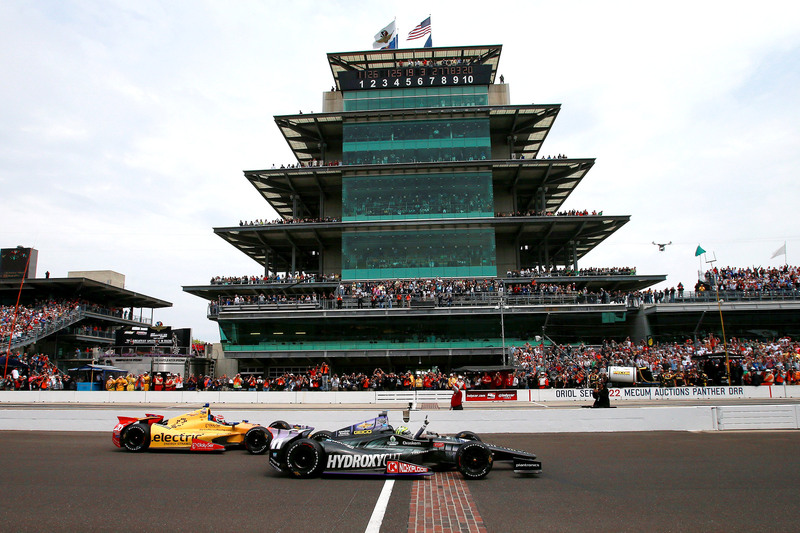 This entry was posted in Culture, Racing News and tagged automotive, IMS, Indianapolis 500, Indianapolis Motor Speedway, IndyCar, James Hinchcliffe. Bookmark the permalink.